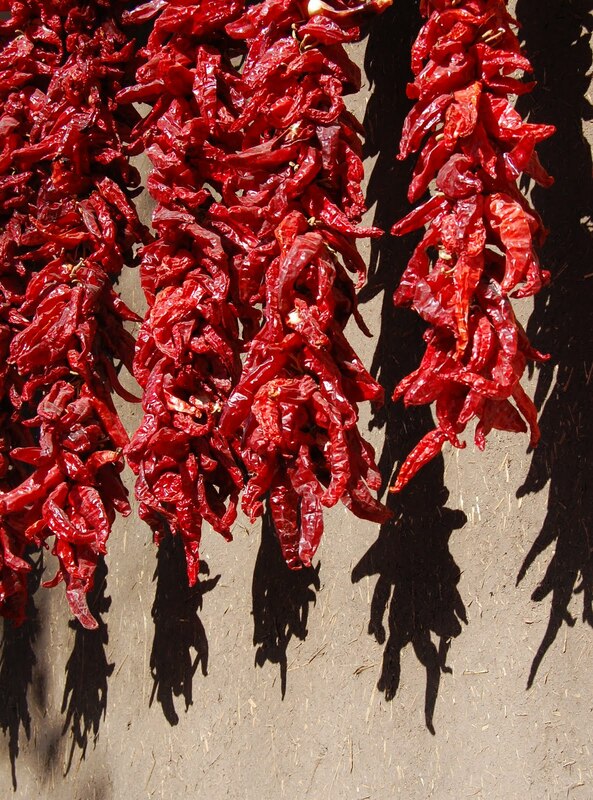 Chili peppers hang on strings outside Rancho de Chimayó, a lovely restaurant run out of a family home on the high road to Taos. Their shadows fall on a wall finished with straw and mud. Lunch was delicious, and it was the first time I'd had an excellent sopaipilla served as bread with a meal.